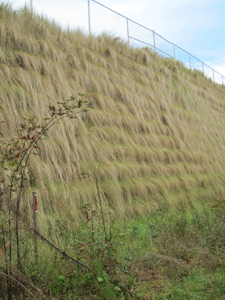 Geomax™ High Strength Reinforcement Geotextiles are suited as internal soil reinforcement. 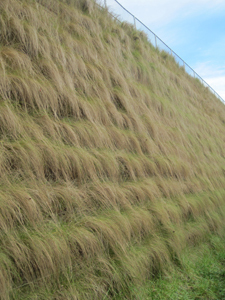 These GeoTextiles are woven with high strength polyester yarns for their main direction, and polypropylene or polyester yarns in their secondary direction. Geomax geotextiles are similiar in tensile strengths, modulus and durability as their counterpart, polyester geogrids. 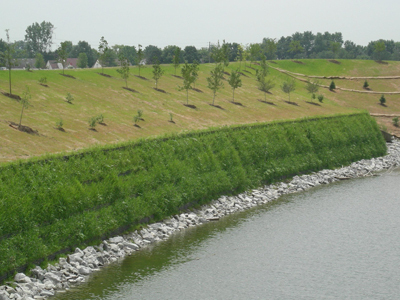 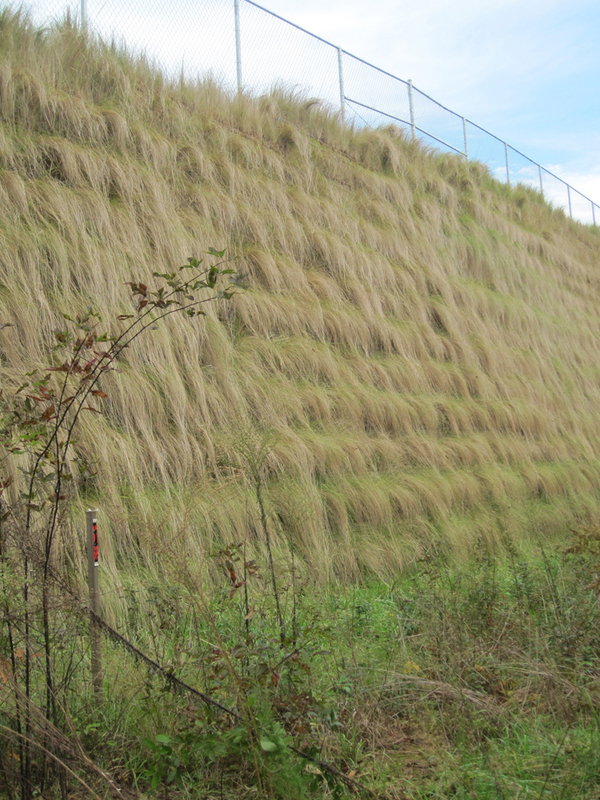 Geomax geotextiles provide low-cost soil reinforcement for retaining walls, segmental retaining walls, steepened slopes, landslide stabilization, embankments and foundations over soft soils, lining system support and landfill closures. 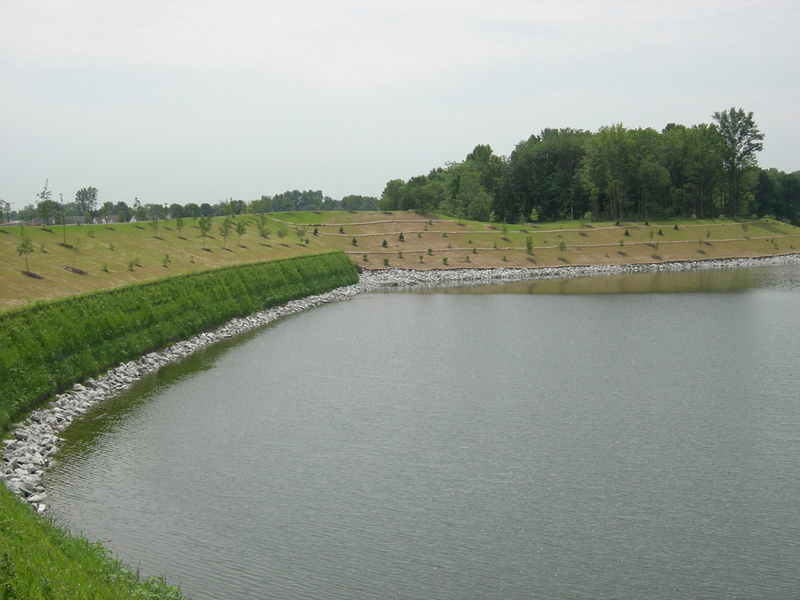 Geomax GeoTextiles are uncoated, and are 33% lighter than either rigid polyethylene or flexible polyester geogrids, making handling and instalation easier. For civil and environmental applications incorporating soil/aggregates with sizes of 0.75” (19 mm) or finer, Geomax delivers cost effective soil reinforcement with proven performance.